The Oscar nominations drop tomorrow morning, far ahead of their normal schedule, sort of like if Christmas suddenly showed up on December 10th. So Cinema Romantico is here to explain exactly why this is happening, what else might happen, and perhaps answer a question or two about E-Voting. 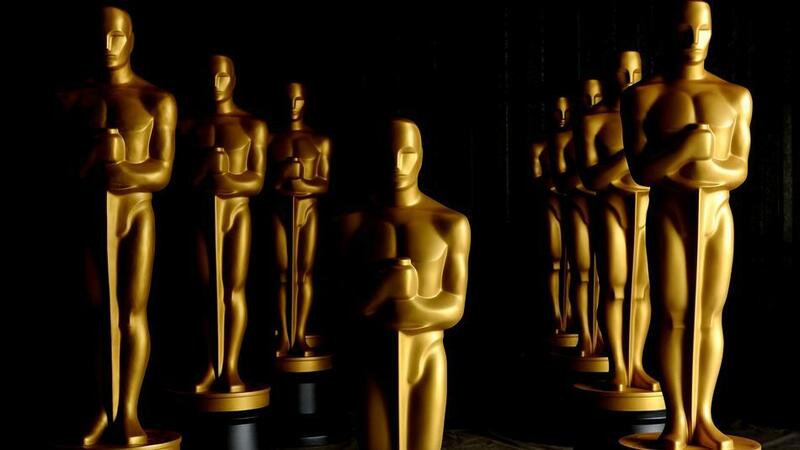 Q: This year's Oscar nominations are announced tomorrow morning, January 10th, two weeks earlier than last year. What’s the reason for the change? A: The Golden Globes, the annual televised cocktail party thrown by the Hollywood Foreign Press Association, have in recent years lessened the sheen of the Oscar nominations by making it appear as if the Oscars are simply copying the Golden Globes nominees playbook. Thus, the Academy, ever clever, will have its nominations ceremony take place three days before the Golden Globes. Q: But if the Academy just nominates everything the Golden Globes have already nominated, won’t the Hollywood Foreign Press still accuse the Oscars of riding its coattails? A: A distinct possibility. This is why the Academy is currently in talks to move its Oscar nominations to early December in order to nominate before the Golden Globes. Q: Would this mean the Academy Awards themselves would be televised earlier? A: Indeed. They would be televised in early January, thereby relegating the Golden Globes to a sideshow in which famous people get drunk. Which is what it is anyway. Not that there’s anything wrong with that. Q: Not at all. I have long felt the Golden Globes should cut down on awards and have a karaoke portion of the evening. Imagine Angie & Brad singing “Afternoon Delight” after getting blitzed on sangria. Don't EVEN try to tell me you would not watch the Golden Globes to see these two karaoke. Q: I know. Right? 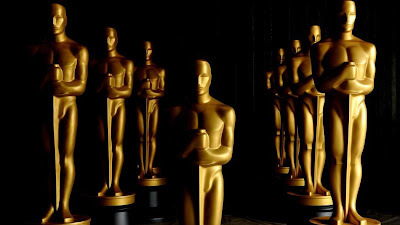 But if the Academy Awards ceremony is in early January, how will voters be able to see all nominated films, let alone all films eligible to be nominated for the first round of voting? A: (Laughs Strenuously.) So naïve. Actually allowing voters to see films on which they vote is the least of the Academy’s concerns. Q: Couldn’t the Golden Globes simply respond by moving up their own ceremony? A: You didn’t hear it from me but there is a clandestine operation in the works to do just that. The Hollywood Foreign Press is planning to move the Golden Globes to Thanksgiving weekend and, thus, announce their nominations in late October. Q: Wow. That would essentially eliminate the year-end rush to get all the so-called Oscar bait movies in under the release wire. A: Oh, that isn’t even the half of it, because a mole placed by the Academy into the Hollywood Foreign Press explained that if the Golden Globes move forward with their plan, the Oscar ceremony would be moved up to September 21st, the first day of fall. This would place the “year-end” rush of Oscar-bait as well as the Oscar nominations themselves in the dog days of summer. Q: That would completely screw up release patterns! A: Tell me about it! TIFF would be moved up to Canada Day. Cannes would be moved up to the off season. Sundance wouldn’t even take place in the right year! Q: “Les Miserables” would be released in August! A: “The Avengers” would be released in December! Q: Dogs and cats living together! Q: And as if that wasn't bad enough, this whole e-voting hoo-ha has turned into a debacle. A: Well, sure. The Academy can't even explain half the time what they think constitutes an"original" song, you expect them to figure out how to properly an implement online voting?! Q: They had to push the voting deadline back by 24 hours on account of all the security and site snafus and we even heard a few rumors of possible hacking. What are your sources telling you? A: Just don't be surprised if "Brooklyn Decker's Hoop Earrings In 'Battleship'" accidentally land a supporting actress nomination. Brooklyn Decker's hoop earrings might be in the running in for an Oscar nomination. Q: How many films do you see being nominated for Best Picture? The full ten? A: I don't do predictions of predictions. Q: Hey, man, don't get so uptight. Why have we all gotta take awards season and movies so seriously? Why can't we be more like the wise Samuel L. Jackson who said in a recent interview that he does not take roles for their "Oscar potential" and said he "enjoy(s) movies for the audience aspect of it. I tend to take roles that I want to see me in." A: Really? He wanted to see himself in "The Man" and "The Samaritan"? 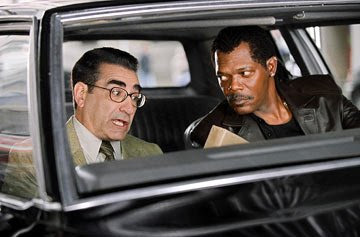 Samuel L. Jackson is VERY proud of this movie, so just step off. I stated to lose it. Also, I'd pay good money for some Brad and Angie karaoke. That makes me happy to hear. I aim to please. I would double up your good money for Brad & Angie karaoke. It so needs to happen.